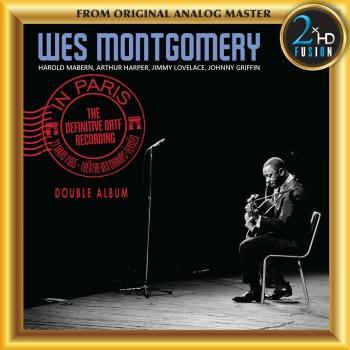 Recorded during the one single overseas tour he would ever make due to his fear of flying, In Paris, The Definitive ORTF Recording is considered perhaps the greatest live Wes Montgomery performance ever. Wes Montgomery is widely considered one of the major jazz guitarists, known for an unusual technique of plucking the strings with the side of his thumb which granted him a distinctive sound. 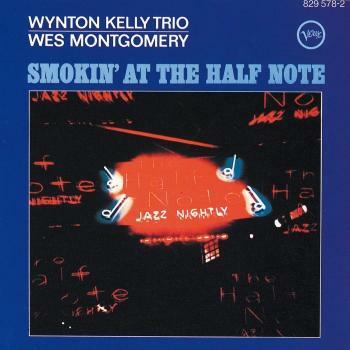 Pianist Harold Mabern says of this recording "Most of the stuff was spur of the moment; that's what made it fresh then, and it's still fresh now. That's why it sounds happy - because we were happy, and it was all about the music." In Paris: The Definitive ORTF Recording captures jazz guitar legend Wes Montgomery on his only tour of Europe on the night of March 27, 1965 at the Théâtre des Champs-Élysées in Paris, France. The first official release of this legendary concert, In Paris is being released in partnership with the Institutnational de l'audiovisuel (INA) with remastered, high-resolution audio transferred directly from the original tape reels. The concert was organized by jazz producer and impresario Alan Bates to the great delight of European audiences who had long wanted to see Wes perform live, but his severe fear of flying had kept him in the states. Featuring an all-star band with pianist Harold Mabern, bassist Arthur Harper and drummer Jimmy Lovelace, with special guest tenor saxophonist Johnny Griffin.